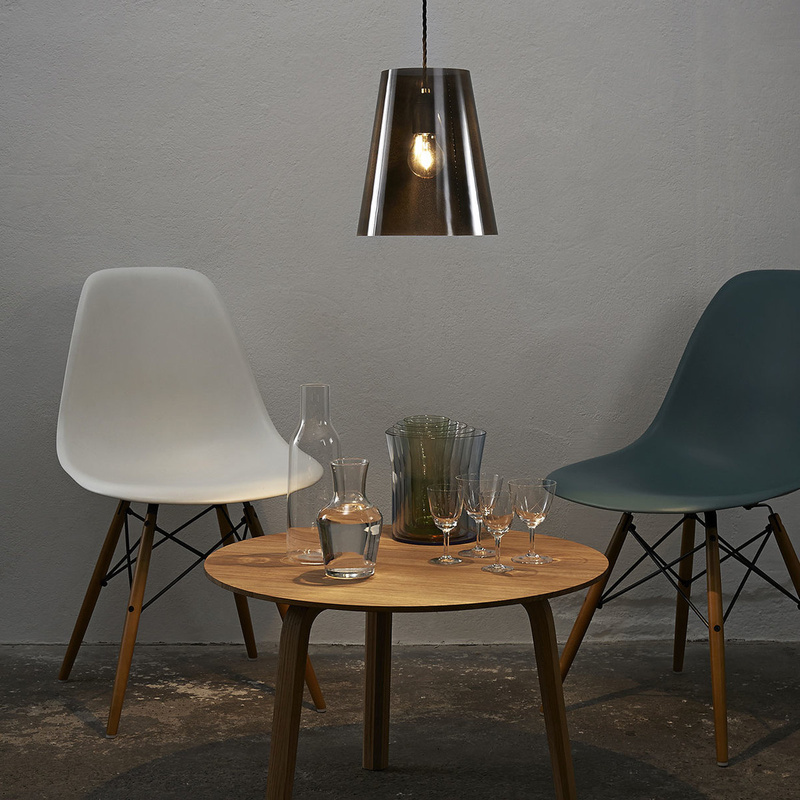 Fade is a suspension lamp by Nyta, here in a natural finish. 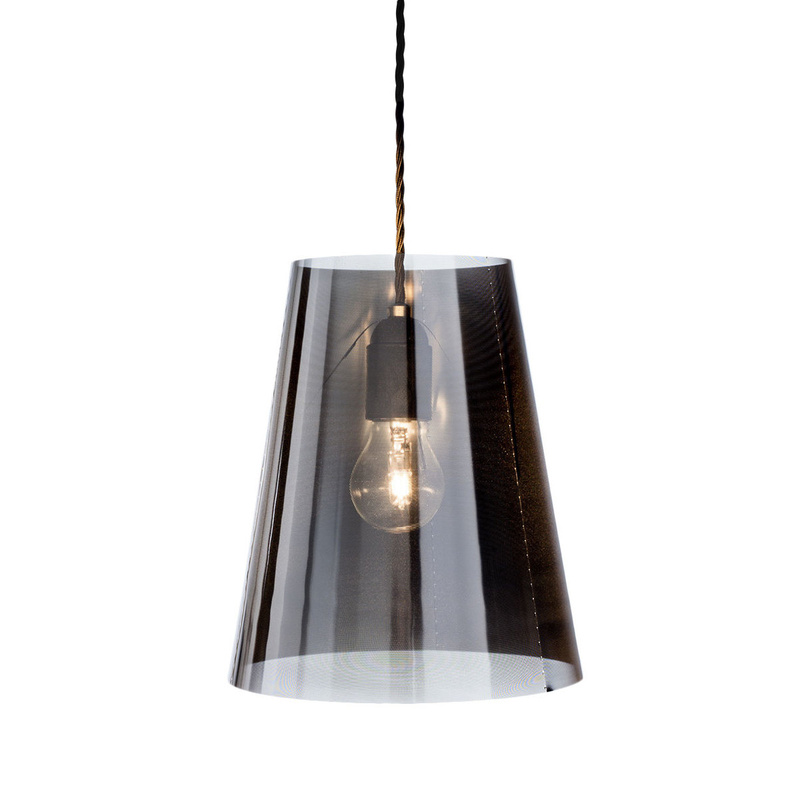 A delicate lampshade made of stainless steel sheet metal of merely 0,08 mm strength gives the impression of almost floating around the illuminant. When switched on, its microscopic perforation almost makes the shade look transparent while, at the same time, prevents any glare whatsoever. When Fade is switched off, the shade is opaque and effectively hides illuminant and inside fixtures. The sophisticated hanging fixture appears to be seamlessly growing out of the body of the shade, almost like an organic extension. Each of the styles of finish – blackened or steel – supports the ephemeral overall impression of Fade, changing the quality of the light it gives in their own particular way. 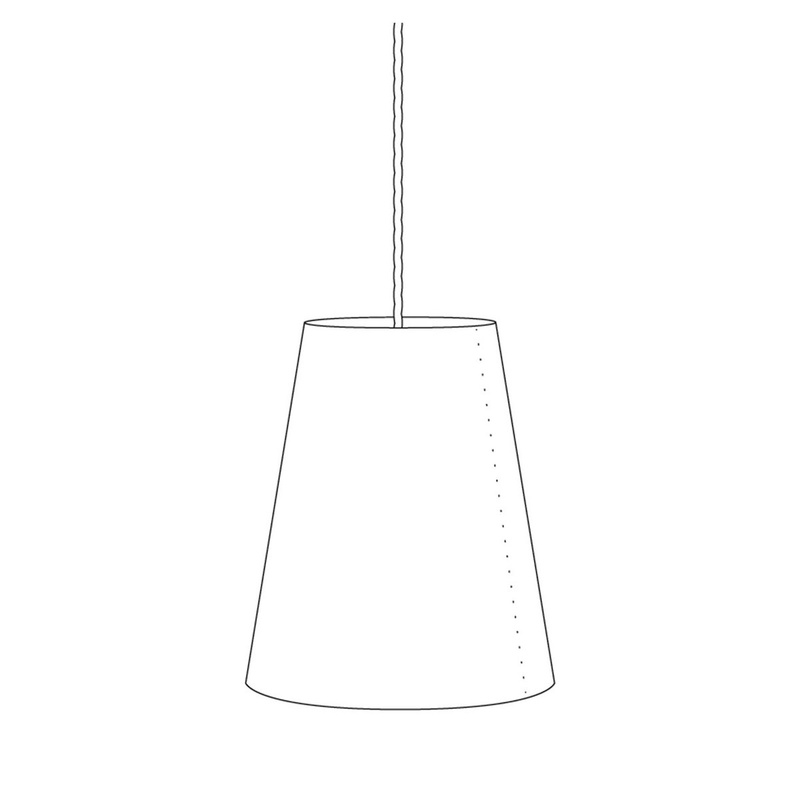 The lamp shade is sized Ø 210 mm and made from perforated stainless steel 0,08 mm. A 3 mt long cloth covered cord leads to a E27 socket (for light sources max. 70 Watts). The canopy is made from plastic. 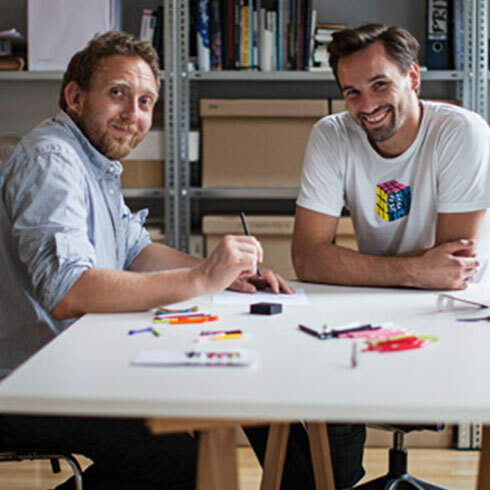 We both studied product design at the Karlsruhe University of Arts and Design (HfG). After working and studying in Berlin, Zürich, Helsinki and Copenhagen we founded our studio jjoo design in 2007. Since then we develop products, furniture and lighting for various manufacturers and organizes projects and exhibitions such as »Oh Tannenbaum – designer christmas trees«. 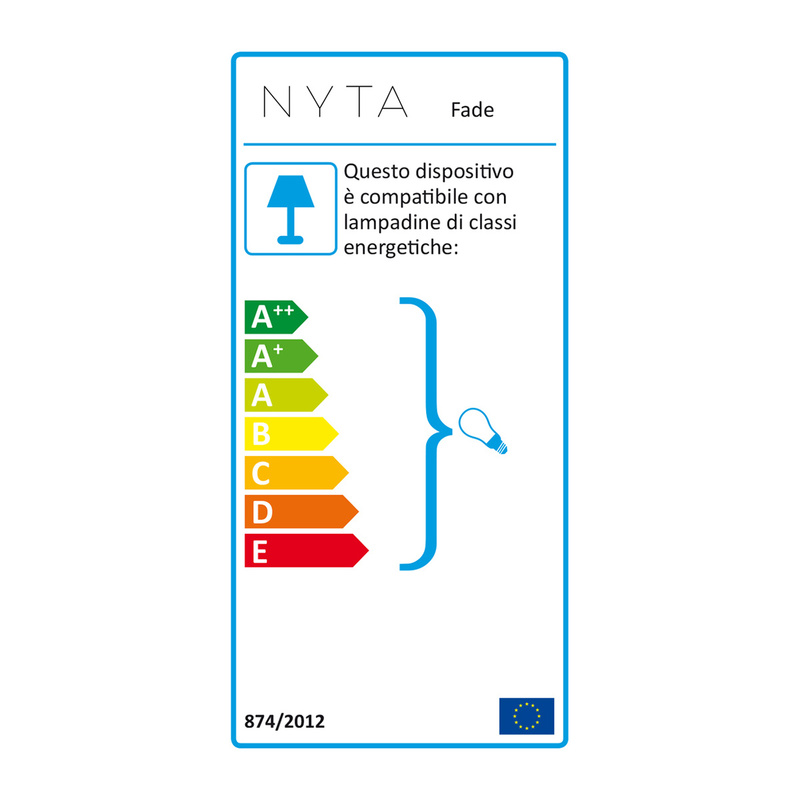 Nyta is a young German lighting brand with an award winning collection of luminaires. The Nyta brand was founded by three lighting designers who share a genuine passion for their craft: developing and designing lights, lamps, illuminants that –quite literally–please the eye, make an esthetic statement and still blend in matter-of-factly.